I got these when I was just looking around up in Birmingham. 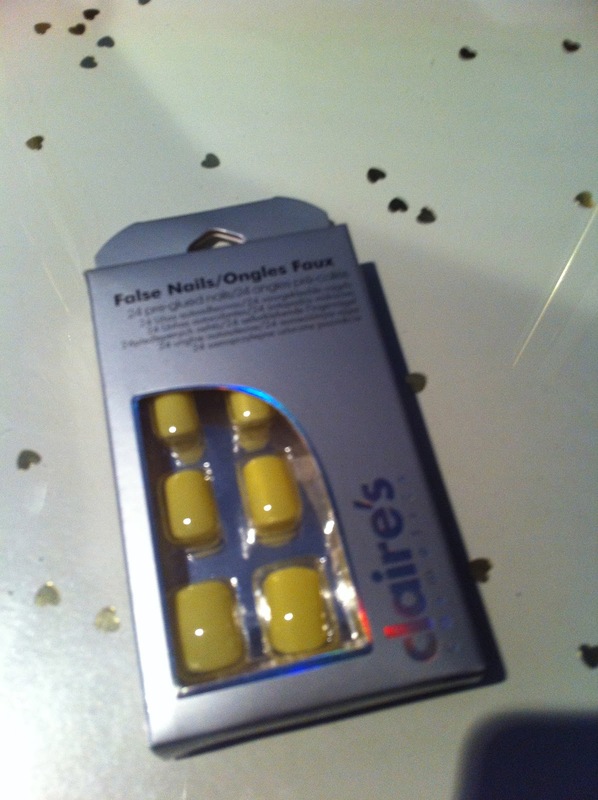 I've been hearing a lot about these pre-glued nails, so all you have to do is just find the right size nail and press onto yours. It took me about what 2 minutes! Very quick. 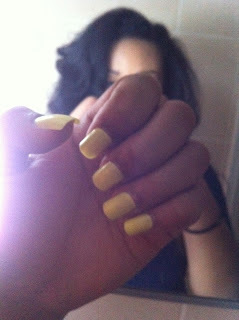 But I normally take an hour to get used to fake nails and normally it's a french manicure. I wore these for about 8 hours before I was dying to pull them off. Because they weren't using nail glue it felt like my actual finger nail was being pulled off every time I touched something! I couldn't pick up my phone. I couldn't scratch my nose properly. After about 4 hours they started to fall off anyway. The colour is amazing though, I love neon yellow! 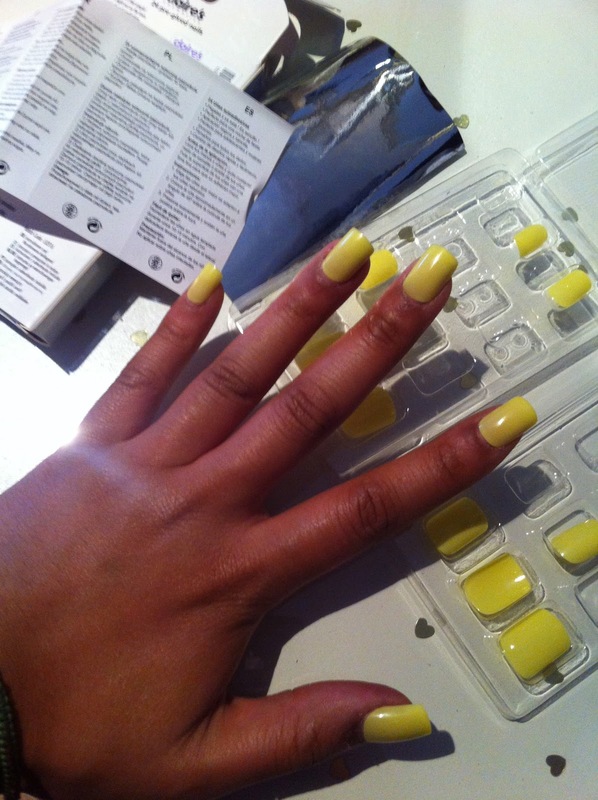 But I think I'd look like less of a transexual if I painted the colour onto my natural nails. I'll be sticking to simple falsies from now on. I need to find this colour in a polish! For some reason the pictures aren't showing the colour properly. If you can imagine like neon, yellow glow sticks?! You've got it. Yeah, in your face yellow. Luckily I only got these on sale for £3 so I guess no harm done. Also if you haven't already entered my giveaway click here to have a go!